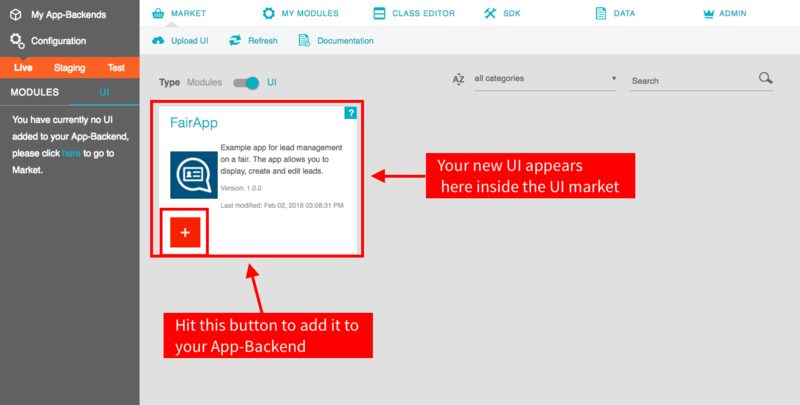 After the User Interface template was created and shared by an UI Developer you can now integrate the UI to a specific backend application as UI Orchestrator. Depending on how the UI template you want to use was provided you have to to different steps. If the UI template was already uploaded and released by the UI Developer you just need to attach it to your backend application (Case 1). 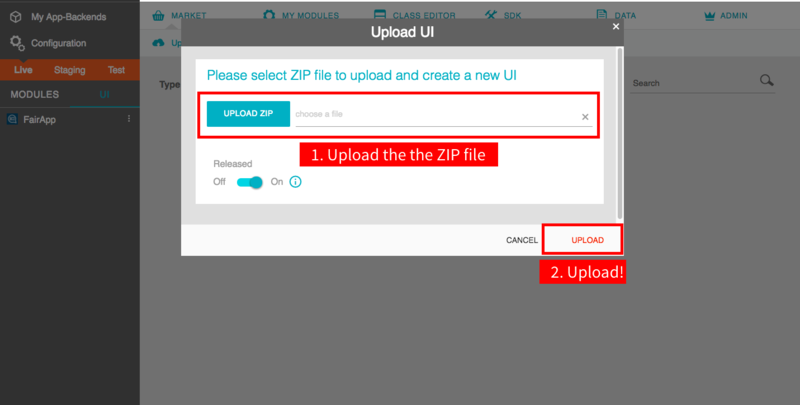 If it was provided as ZIP package you are also able to deploy this UI template to other systems (Case 2). 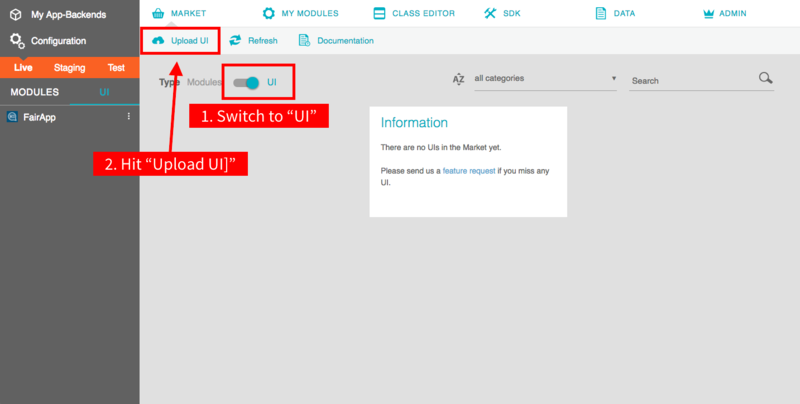 In order to attach an UI template created and released by an UI Developer you just need to open the UI Market via Dashboard and hit the plus-button. Keep in mind that this only works, if the needed modules are active within your backend application. The UI ZIP package should automatically be attached to your current backend application after successful UI upload (if not, do the step from case 1). The UI Developer may defined some UI configuration values within his UI template (see detailled information on UIs for Developer > UserInterface Configurations). As UI Orchestrator you are able to set those custom UI configuration values within your backend application. Visit Apidocs and search for the REST end point that creates and returns the user interface zip for the given application to see more details.